Each day, almost 30 people across the United States are killed in motor vehicle crashes involving a driver who is impaired by drugs or alcohol. At almost one death every 48 minutes, the chances of a collision with a drunk driver are far too high. If you were injured in New Jersey because of the negligent or reckless actions of a driver who was using drugs or alcohol, our attorneys at the Law Offices of Richard S. Greenberg are passionate about getting you the monetary damages you need to get your life back on track. Drunk driving accidents can — and should — be avoided. 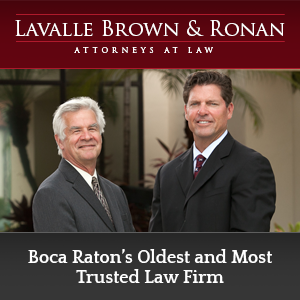 We work hard to ensure that each party is held responsible through a lawsuit or settlement for the harm caused to you. Is a drunk driver responsible to pay for my injuries? Driving while intoxicated (DWI) and driving under the influence (DUI) refer to alcohol- and drug-impaired driving. Drunk and drug-impaired drivers endanger us all — not only other drivers, but also passengers and unsuspecting pedestrians. Across the nation in 2011, 8,878 fatalities resulted from alcohol-impaired driving. Drugs other than alcohol, including marijuana and cocaine, are generally involved in about 18 percent of deaths to drivers. In New Jersey alone, more than 190 fatal accidents were related to alcohol consumption. Under New Jersey law, it is a crime to drive while intoxicated. Intoxication is determined through a test of blood alcohol concentration (BAC). Anyone with a BAC of 0.08 percent or higher while driving a car or boat can be charged with DUI. The penalties for DUI include fines and fees, license suspension, installation of an ignition interlock device on a vehicle, community service and jail time. In addition to pursuing criminal penalties, our attorneys help you sue the intoxicated driver who causes an accident for personal injury or the wrongful death of a loved one. What is dram shop liability and how does it affect my accident? While a drunk or drug-impaired driver will likely be found negligent or reckless, he or she may not be solely responsible for your accident. Under dram shop liability laws in New Jersey, a bar, club, tavern, liquor store, restaurant or other business that sells alcohol — known as a dram shop — may be held responsible when selling alcohol to a person who is visibly drunk and causes an accident. Our Bergen County lawyers help you determine which persons and businesses are responsible for your injuries and property damages. When a business is responsible in addition to a drunk driver, we work hard to make that business pay for your losses through a lawsuit or settlement. Can I Recover Compensation from Uninsured and Underinsured Motorists after a New Jersey Accident? After an auto accident in New Jersey, you may be relieved to know you have insurance to cover your losses. However will an insurance company protect you? Unfortunately, insurance companies are paying out less and less, while all other expenses increase. At the Law Offices of Richard S. Greenberg in Bergen County, our lawyers have fought insurance companies on behalf of our clients for decades. When your own insurance company or the other driver’s is refusing to pay or offering to settle for too little, we provide strong support. Our forceful negotiation is backed by our willingness to go to court when it is in your best interests. With more than $100 million in settlements earned for our clients over the years, our results speak for themselves. Is insurance required in New Jersey? In addition, you may add bodily injury liability, collision coverage and comprehensive coverage. A standard auto insurance policy has higher minimums and always includes bodily injury, personal injury and property damage protections. Uninsured-underinsured motorist (UM-UIM) coverage is available as part of standard insurance policies. You can have UM-UIM coverage up to your liability coverage limits. Uninsured motorist coverage covers your damages up to your limits when the other driver is not insured. Underinsured motorist coverage applies when the other driver has a policy limit less than all your damage and your coverage would give you greater compensation. Because New Jersey follows a system of comparative negligence, your insurance company may reduce your payment by the percentage it decides you are at fault. How do New Jersey insurance laws affect my auto accident claim? In any situation, the more coverage you have, the more likely your policy will cover most of your medical bills, lost wages, vehicle damage and other losses caused by an accident. Because the minimum required coverage — even in a standard policy — is so low, in many cases the payments will not cover the full extent of the medical bills for auto accident victims. In addition, despite severe penalties, many drivers still fail to carry any insurance at all. A standard policy with UM-UIM coverage can protect you in these situations. Unlimited right to sue — You may start a lawsuit against the person who caused the car accident to recover for the pain and suffering caused by your injuries. Limited right to sue — You choose not to sue anyone who causes an accident unless you sustain injuries that include the loss of a body part, significant disfigurement or scarring, a displaced fracture, permanent injuries, loss of a fetus or death. These options only affect your right to sue for pain and suffering and other losses not financial. Medical expenses and other economic damages are covered by your personal injury protection insurance.